服务器恢复运作 / Server back online now - ::DJMAX Online:: COME BACK. 服务器已经恢复运作, 请到 http://www.djmax.cn/profile/password 修改密码后即可登录游戏. 由于 DJMaxer.com 域名问题, 启动器无法正常工作, 忽略错误直接启动游戏即可, 这个最近会做修复. 如果启动器卡住, 使用 "start DJMax.pak" 命令行直接启动游戏. Servers back online now, please go http://www.djmax.cn/profile/password to change your password once and you will be able to login to game. Due the DJMaxer.com domain issue, Game launcher (DJMax.exe) is having problem, plsase ignore it and start game directly, this issue will be fix ASAP. If you having any problem / question, please comment below. I do have a question: New account registration was closed due to the server issues Is that going to open back up soon ?? Edit: I was also still unable to login It was fixed when I changed my account password..
New accounts will be able to login now. can you post a screenshot for your account issue? Do not see a link to register a new account. Have friends who want to play, but do not have an account yet. Celebrating the resurrection of DJMAX online service! Thanks for your efforts to remain djmax online service. But data recovery seems to be imperfect. Maybe data recovery is based on out-dated database. 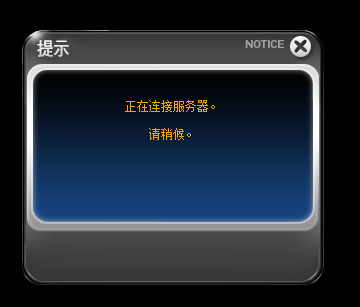 Since starting of djmaxer.com, I always worried server collapse. So everyday, I captured my latest status after play. I can send my latest status screenshots. Is it possible to recover my data completely? I always did my best to play djmax. Because of data lost, all of my effort going to be ZERO.. Thanks for all your hard work. I'm very glad to be playing DJMax Online again. You need to confirm email address. It should send an email to QQ email you registered with. 위에 계신분,이메일 주소를 인증 하셔야하는데 ㅎㄷㄷ... 핫메일은 안되는걸로 알고있어요..
Also waiting for a response about new account registration and when it will open. Any news? Is anyone else also having this issue? @DJ.Metals: Yeah, I found out that later. I had put the file in white-list of Kaspersky, but for some reason he deleted it again. Fixed that. Thanks for the help though. You start DJMAX Launcher, click the button, and the game launches. If you get stuck at a black-screen, Alt-Tab and check if it's not the launcher options that are open and requesting you to configure the game. @OLD SNAKE: Ok, first: What is your main language? From what country are you? It may help communicating. Could be the server is having issues or your firewall is blocking connection to the server. Also make sure you have the latest version of the client. Ok, than was most likely ISP blocking the connection. I can't log in. It says password is wrong. On website, problem is same.. It is auto-login so I can write this comment, with another browser, I can't log in. So... is there any sort of communication happening? Or are they just that busy and have not responded in so long? If we can open registration, we can try to get the server more active again. There are a lot of new people that were excited server is back online, but can not make account. I try to log on and host Battle Rooms, but there is usually nobody online, most people seemed to have just stopped playing due to lack of communication between administration and players. Is it shut down again? or only for me? @DJ.Metals Oh Really? Do you use the file at the web site? If it still doesn't work, let me know. I think it has to do with the domain change. BlacK I think has a thread that might fix too. @DJ.Metals Oh it's new version. I have the file 'DJMax_Online_150131_NEW'. Thank you so much. I will try this now. @DJ.Metals It still didn't work.. But loading Image change. Otherwise, it brings you to a site that says the domain is for sale. Still cannot play or just need to wait for the restarting of server? Hey Metals, Now I can connect it. Thanx a lot dude XD. See you in the game!